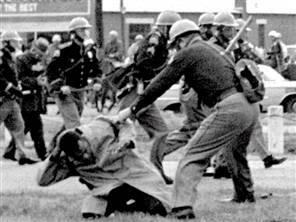 Today in Selma, Alabama, there was talk of civil rights, how far we’ve come. How far we still have to go. Fifty years after Bloody Sunday, there are still pockets of racism deep enough to hold entire communities, churches and governments. There are still places where we Americans are not judged on the content of our character, but on how we appear — and if not the color of our skin, then the bone structure of our bodies and the clothes we wear to express our gender gives rise to oppression and prejudice and denial of our liberty. The people we love makes us targets for hate, for discrimination, for fear. My former residence in Marietta in the great state of Georgia was an apartment complex where about 75 to 80 percent of my neighbors were African-American. The property manager, the rental office employees, maintenance workers and folks to whom I’d say good morning and good night at the bus stop were all in the majority and I was but one of two white women living among them, peacefully and without trouble. We all minded our own business, and nobody ever made a fuss about me being either white or a woman. But some politicians there want to pass a law that allows business owners to discriminate against me if my existence runs contrary to their religious beliefs. Since nobody in Georgia ever asked me where I pray, and nobody ever questioned where I pee, I don’t expect I’d run afoul of this lousy bit of legislation, should it ever come to pass. But to think there are others not quite as fortunate who might be oppressed because of this kind of lawmaking, others who just happen to be friends of mine, I worry. And I do pray. I read somewhere that God helps those who help themselves, and so I decided the best course of action, given my few options — having a part-time job, no savings and a boatload of bills — is to not make matters more complicated. I know better than to live someplace where I’m not welcome to be me. So, one month ago today, I packed up my car and headed north, to return home. Which is ironic in a way, given the fact that I left home in the first place because I was no longer welcome. The 17 hours I spent driving gave me time to reflect, to ponder, to ruminate and reconsider. When I unlocked the front door and crossed that threshold, I put an end to 21 months of drifting from place to place, five cities across three states in less than two years. I never once hung a picture or painted a wall, never once considered that where I was would be where I’d stay. Because… home is, as the saying goes, where the heart is. And mine was where I left it, in the dwelling of my kids and one true love. 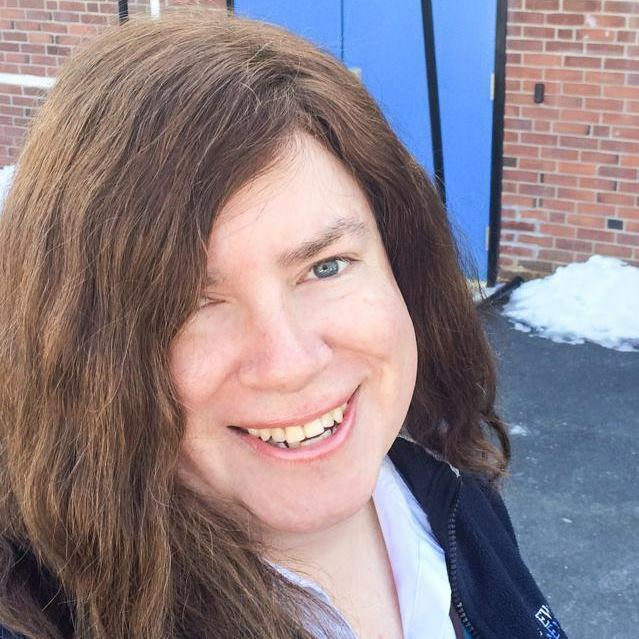 In all that time, only two things remained constant: my name is Dawn Stacey Ennis, and I am transgender. And because of those two things, that one true love is no longer mine to hold, to my great regret. I was offered the option: come home, leave that life behind, rebuild a life I put to rest. And I’d be lying if I didn’t admit: I was sorely tempted. But having been “back and forth” — rather infamously, I might add — I found that temptation was one I could withstand without even a second thought. I realized, over the past few weeks since I returned home, the saving grace of my children mattered more to me than anything else. Their love and total acceptance are in fact enough to make every day worth living, and my love for them keeps me motivated to make a difference in their lives and the world they will someday inherit. The love I lost ran out when the gauge hit E, and cannot be refilled by the woman I truly am. And although I have lived as the man who kept the tank full, to overbrimming, I can’t wear that disguise any longer. And she’s not buying the brand I’m now selling. So I set my clothes hanging where mens’ suits once hung, I filled the empty drawers with my blouses and bras and other underwear where I once kept boxers and briefs and polo shirts. And I live my life. I do my job. I search for better opportunities. 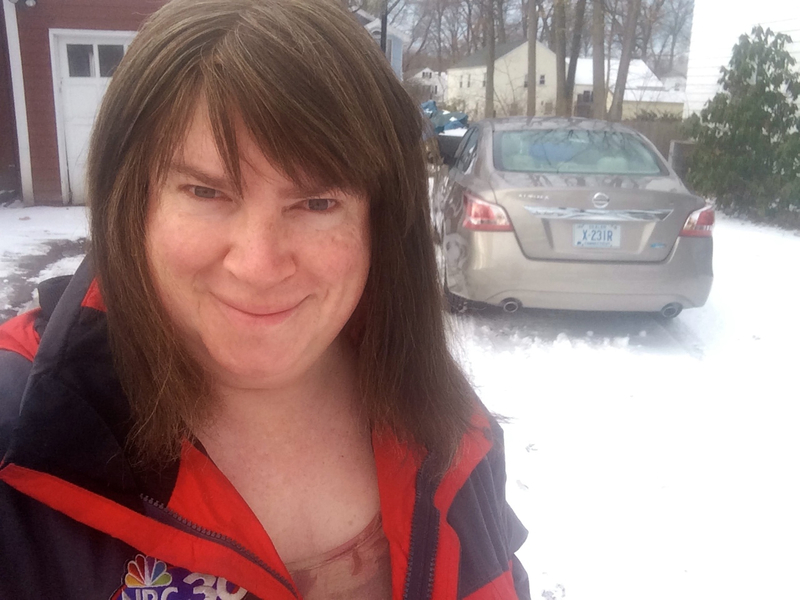 I cook, clean, shop, eat, sleep, play, shovel, and shovel, and shovel, and everything else I did before — just like everybody does — except now I do this here, and not as a visitor, but as ME, as a woman who lives here. A woman whose kids call her dad — deal with it. 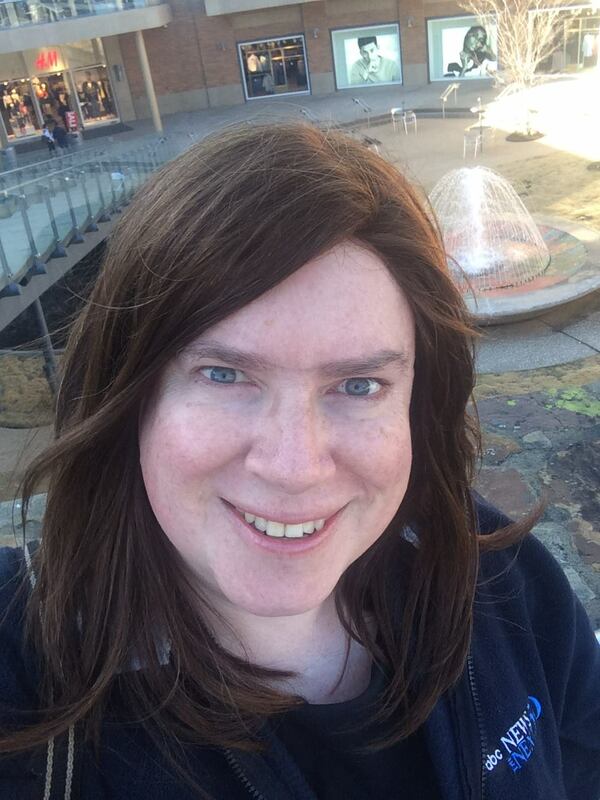 I am Dawn Stacey Ennis and I am transgender. You know, I think I might even paint a wall or two, and then, perhaps, hang a picture. Just a short post to say “thank you” to everyone who took time to read my commentary at The Advocate and/or my expanded post here, about all the hype surrounding Bruce Jenner. Of course, the very clever friend whom I call my Jiminy Cricket saw right through me, as I seized this opportunity to not only comment on that media maelstrom but the one that befell me, as well. Putting those words out there, telling my whole story, is something I have wanted to do for the longest time. Something I was told I couldn’t do and then didn’t dare do, before now. And I’ll admit I can now at least say I did get to tell my story. Book, schmook; I am following the wise advice of a certain Barnard professor I know, who told me to live my life and write about it later. Anyway, I am grateful for the love and support I’ve received thus far, and yes, even the feedback that wasn’t all positive, because I appreciate honesty. Most of all I cherish the new friendships I’ve made as a result of sharing with y’all. Now begins my last 24 hours here in Georgia. Soon enough it’ll be time for me to pack up and head out. I’ll be trying to beat the latest snowpocalypse that’s bearing down on the Northeast. Last time I checked, yup: February. It snows in February in the Northeast. So… in other words, that kind of wintry weather is “normal?” Okay! Just an observation. And on my way, I’ll need to pick up a new pair of sunglasses that won’t leave a unibrow mark on the bridge of my nose, like this not-cheap pair I purchased at Sea World Orlando at Christmas time. 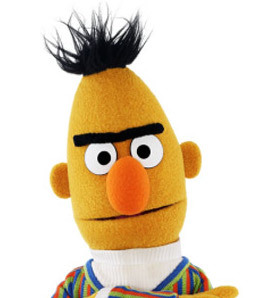 While everyone’s making a big hullaballoo about protecting killer whales and dolphins from exploitation by evil amusement parks, where’s the outrage over nasty sunglasses leaving black marks that make me look like Bert from Sesame Street? Sigh. Barring any unforeseen developments, like a job offer — hell, I’d detour just to have a job interview — I’m headed home, to my children, and will deal with the other consequences that will most certainly arise. Ahem.